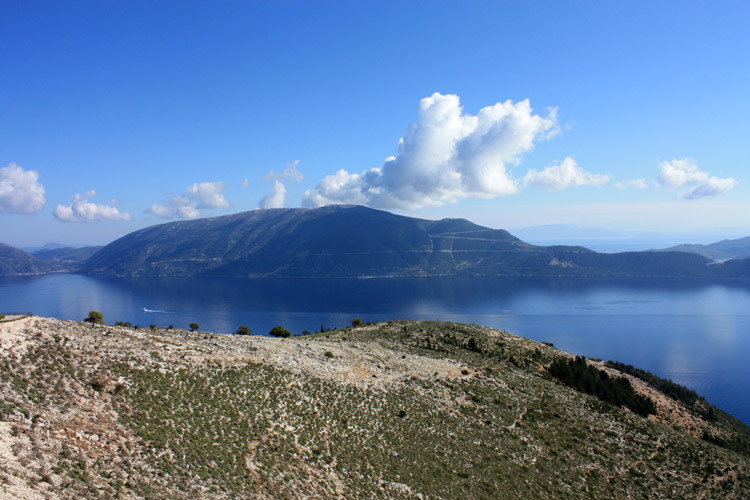 Nearby Kefalonia there is the famous island of Ithaca, celebrated since ancient times by the Greek poet Homer. From the east coast of Kefalonia is clearly visible on the island of Ithaca and, if you have a private boat, you will be extremely easy to organize day trips. 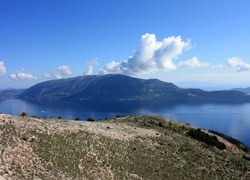 The island of Ithaca is directly accessible from Patras, Kefalonia and the island of Lefkada, all direct connections with the port of the capital Vathi. The fishing village of Frikes, located to the north, offers direct connections to Kefalonia (Sami) and Lefkas (Nidri). Due to its mountainous nature, the island of Ithaca is a fascinating place and it is also able to reconcile a splendid and unspoilt natural beauty with the influx of tourism that is never too much also during the high season. The coasts are rocky, but always gentle slopes and beaches of Ithaca are mostly small and lovely pebbly beach with crystal clear sea. 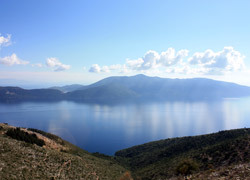 The main villages on Ithaca are: Vathy, the capital, the fishing villages of Frikes and Kioni and the small villages of Perahori, Lefki and Exochi. 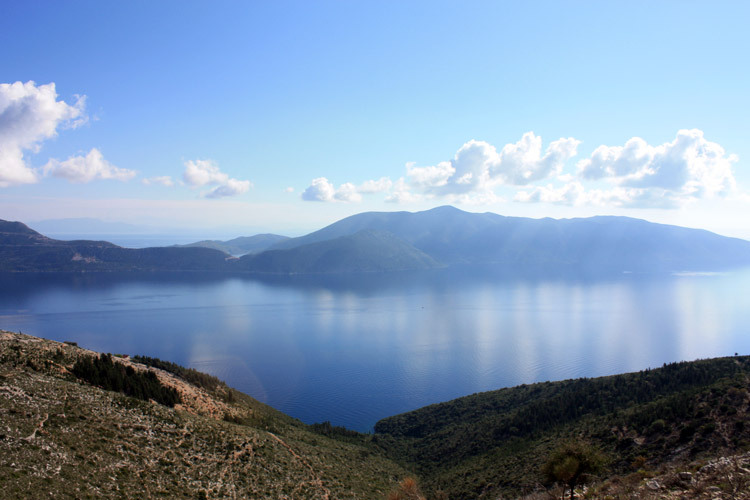 Vathi is, from the sixteenth century, the capital of the Greek island of Ithaca and is also the main port from which ferries depart and arrive connecting Ithaca Kefalonia and mainland Greece. Arriving by sea we'll immediately notice the tranquility of the place and how the village of Vathi is romantically wrapped around its harbor and the promenade. If you find yourself on the island of Ithaca, Vathy can be an interesting option for a romantic dinner or for a breakfast in a café in the small streets of the village. Here at Vathi you can still see historic buildings in Venetian style survived the earthquake of 1953. Frikes is a charming fisherman's village on the east coast of Ithaca. It was first mentioned at the time of the poet Homer, appears today as a small and quiet village, ideal for those seeking an oasis of peace in the Mediterranean. The sides of the harbor are still well preserved old mills and the two Frikes, during the summer months can be a stopping point for those who move with your own boat. Placed about 25 kilometers north of the capital Vathi, the tiny village of Kioni lies in a splendid natural bay, which offers an exceptional natural shelter to small and medium sized boats. Just 5 km south of the capital Vathi, is the hilltop village of Perahori. This village on the island of Ithaca, has a long tradition of farming and herding, mainly due to the fact that it is 300 meters above sea level. The country Perahori is surrounded by woods and forests wild and from the village you can enjoy a unique view on the island of Lefkada and the mainland. Lefki is a small village located 13 kilometers away from Vathi, on the northwest coast of Ithaca. Reason of interest in the village is the church dedicated to the Virgin Mary, where you can admire Byzantine and Russian icons. Exogi is a very small village in the north of the island of Ithaca, founded in the sixteenth century and was once used as a safe haven from pirate attacks. The position of the country is hilly and the view is very beautiful. If you come here, you can make a stop at "cafenion" local drink ouzo with a beautiful view and you can visit the churches of St. Nicholas and St. Marina.